18-foot dia. 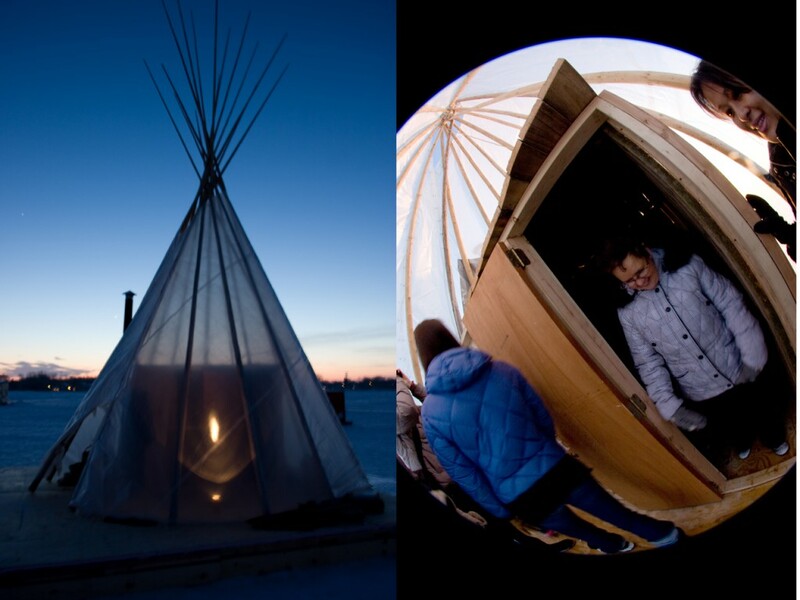 tipi, cedar sauna room, wood stove, one cord of wood, and four weeks on a frozen lake. Black Bania was a smoking hot room on a frozen lake. A tipi housed a sauna room available for use by the public on a bring-your own-towel basis and provided additional space for restorative sauna related activity. During its run we explored the rich culture of communal sweat bathing referencing Finnish saunas, Russian banias, Roman baths and Turkish hammams, Korean zzimzilbangs, and Native American sweat lodges by providing a space for a series of intimate performances, intellectual exchange, and wholesome physical cleansing. 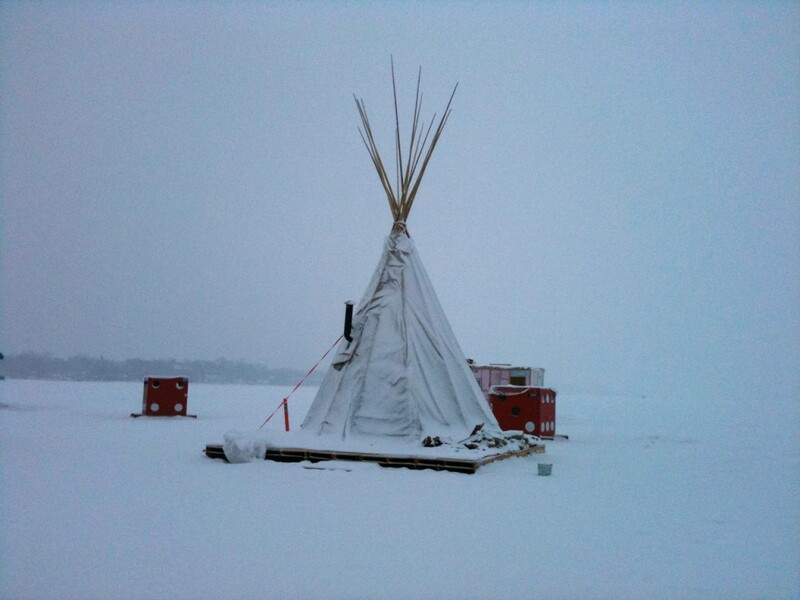 The Black Bania was part of the Art Shanty Projects, located on Medicine Lake, just west of Minneapolis, MN. Black Bania opened to the public on Jan 16 with our first in a series of Riot Act Readings. This project was funded in part by the Franklin Furnace Fund.